London, March 27: A collection of rare artefacts from Tipu Sultan's armoury, including one of his personal swords, discovered by a couple in their attic in the English county of Berkshire has been auctioned for around 107,000 pounds. The highlight lot, a silver-mounted 20-bore flintlock gun and bayonet from the personal armoury of the last ruler of Mysore, proved hugely popular as it attracted 14 bids before going under the hammer for 60,000 pounds. "Unlike other Tipu Sultan guns this one exhibits clear signs of having been badly damaged in its past...rather than being taken directly from the rack after the fall of Seringapatam it appears to have been collected from the battlefield," the lot description notes. The other highlight lot, a gold-encrusted sword and suspension belt ensemble believed to be one of Tipu Sultan's personal swords, attracted as many as 58 bids before being sold to the winning bidder for 18,500 pounds. Tipu Sultan's Sword 'Vanishes' After Vijay Mallya's Family Said 'It Brought Bad Luck'. The two centrepieces formed part of a collection of eight items brought back by Major Thomas Hart of the East India Company after the Tiger of Mysore's defeat at Seringapatam in 1799. 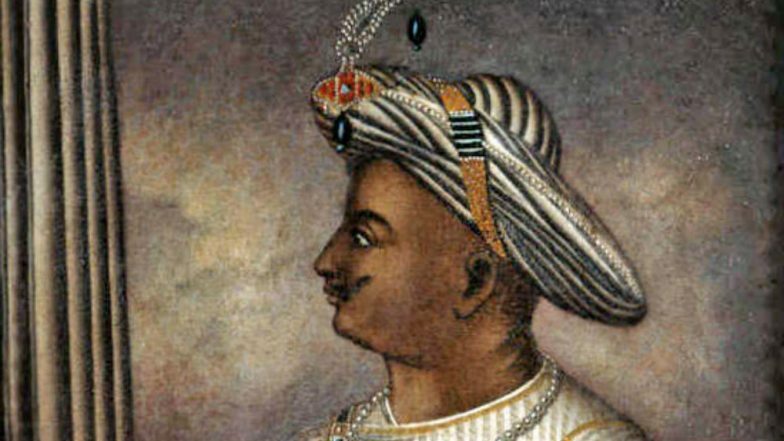 Tipu died in 1799 at the age of 48. Alongside the arms, an intricately designed Betel Nut Casket (17,500 pounds) and a Gold East India Company Seal ring (2,800 pounds) belonging to Major Hart, believed to have passed down generations before landing in the hands of the current owners, were among the other big sellers of Tuesday's sale. Pakistan Remembers Tipu Sultan on His 218 Death Anniversary. Berkshire-based Antony Cribb Ltd auctioneers, who specialise in arms and armoury related sales, had announced the auction following the "exciting discovery" earlier this year and said that majority of the buyer interest had come from Indians based in India. The Indian High Commission in London was made aware of the artefacts by the India Pride Project, a worldwide volunteer network set up to track "India's stolen heritage", and attempted to convince the auction house to consider voluntarily restoring the items to India. The India Pride Project, which was instrumental in the restitution of a 12th century Buddha statue stolen from Nalanda in Bihar last year via the Indian High Commission in London, said it would continue lobbying for such artefacts to find their way back to India. "You haven't really decolonised a nation, unless you've given back what's theirs," said Anuraag Saxena, founder of the India Pride Project. However, the auction house insisted that no laws were being broken and also confirmed that the beneficiary family had decided to make a sizeable donation to a school in India from the money generated from the auction. "The family is not motivated by money and sincerely hope these items find their way back to India, maybe to a museum, for future generations to have access to it," said Antony Cribb of the auction house. The latest cache of Tipu Sultan related artefacts, which included three further swords from the ruler's armoury and a lacquered leather shield, was described as special because of its rare discovery under one roof after nearly 220 years. The items bore the trademark tiger and tiger stripes associated with the Tiger of Mysore as proof of their provenance. The lots came to light in January this year when the couple who made the discovery of this innocuous family heirloom contacted Antony Cribb Ltd about a sword they had in their attic.